What’s the Difference Between a Thumb Drive and Digital Download? Home Digital Transfer Services What’s the Difference Between a Thumb Drive and Digital Download? It’s not uncommon for families to have a closet full of old memories, containing boxes of old photos or home movie tapes that have collected dust over the years. 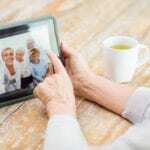 If you are wanting to share these memories with grandkids and generations to come, it’s important to get memories digitized! Finding a local digitizing service that will update your photos, audio, film, or slides will guarantee your memories last forever. 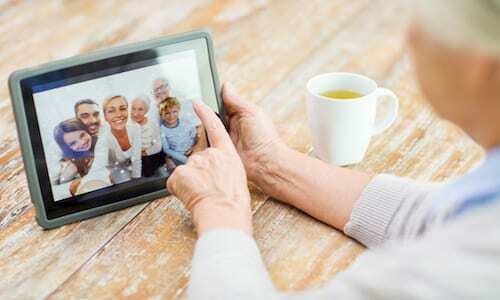 Going digital preserves those moments, but what’s the best option? Stay tuned to learn the difference between a thumb drive and digital download when updating your memories. Thumb drives, otherwise known as a USB or flash drive, are a small compact physical memory device that offers the ability to save data including documents, music, videos, audio, and almost everything! They offer a convenience of being small where you simply plugging into your computer, which allows the files to open automatically. Thumb drives come in a wide variety of storage capabilities, so if you are looking to store a large file of photos or videos you will need a thumb drive that has a large gigabyte. Digital downloads offer nearly all the convenience, speed, and security of a thumb drive, yet without having to carry around and keep track of the physical device. Digital download is often referred to as “the cloud”, where information is stored without having to worry about it. This means you have access to all digital files straight from your phone, laptop, or tablet without having to plug anything into the device. All of your beloved memories are stored in the cloud, where they are safe and secure. Plus, you don’t have to worry about misplacing or losing a file! Both options offer great quality, capacity, and secure for storing memories from the past. 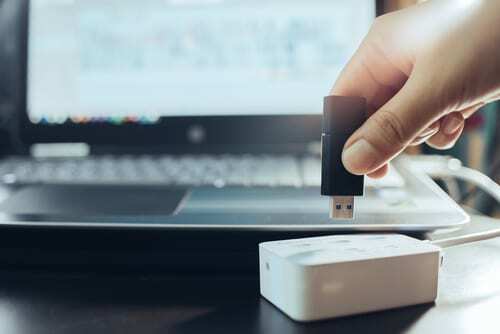 If you decide to have a thumb drive, it’s always best to backup the thumb drive onto your computer as a precautionary.